I have got to say this is the Best Facial Treatment i have Ever had.! I began my Friday morning with a Fire and Ice Resurfacing Treatment at Mayfair Aesthetic Laser & Skin Clinic thanks to Sunny Sahota , it was my first time trying this treatment however I have heard so much about it. you are gave to a consent form to sign just to make sure you are suitable for the treatmeant. This is a popular Celebrity treatment in Beverly Hills and now you can get in done in London. 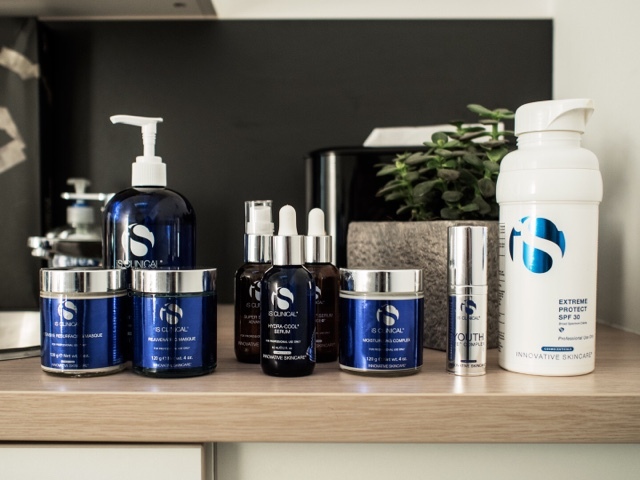 The treatmeant is desgined to resurface the skin, reduce fine lines and encourage cellular renewal. The treatmeant also helps clear acne and improves acne scarring. 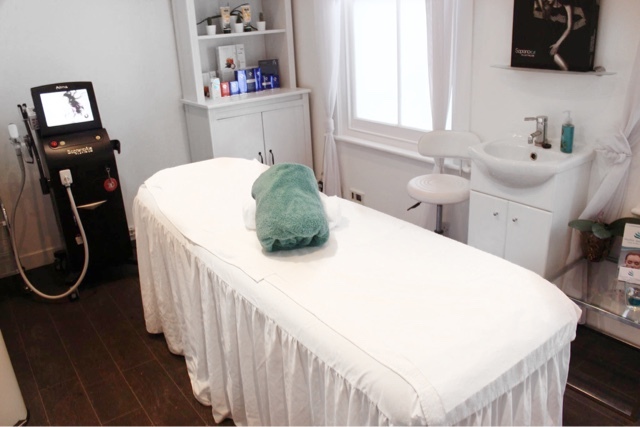 With so much excitement I got to the Clinic at 9am, it is located in Gaskin St 10-15 minutes walk from Essex rd station. The clinic was really clean and well organised, it had this minimalist look which I loved. The lady doing my treatment was so welcoming and friendly, she made me feel very comfortable, i had to give her a shoutout because this made my experience absolutely excellent. Thank you Siobhan. Fire and Ice treatment Process (Took 30mins). Step 1- (Fire time)- your makeup is removed if you have any, to get your skin ready and eyes are covered so you don't get any products in your eyes. This is then followed by an Intensive Resurfacing Masque applied to the face, it contains Vitamin B3, green tea extracts, potent antioxidants, citrict acide, glycolic acid and malic acid. The Masque is applied for 5mins, after a min it starts to get abit Warm and Tingly, i felt this more on the cheeks area and it lasted for two to three mintues. 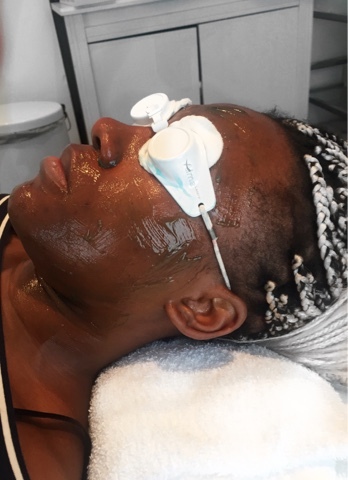 Step 2- (Ice time) - after the Intensive Resurfacing Masque is removed, the second masque is applied this one is more cooling and soothing, after experiencing the warm and tinglying on the skin this masque feels amazing and leaves the skin intensively hydrated. this masque also applied for 5 mins. 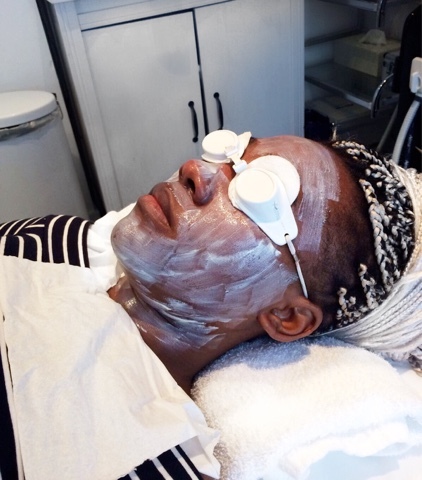 STEP 3 -( Moisturising)- after the Masque is removed/ peeled off , its leaves the skin glowing. A Moisturising Serum is then applied. this is followed by an SP30 sunscrean which works with deeper layers of the skin and reveals new skin cells..
Just like most treatments, the results after your 4th -5th treatment, however I could see the difference just after my first treatment my skin looked and felt amazing, I was more than happy to spend my day makeup free. I have got to say this is the Best Facial Treatment i have Ever had and i will definitely be doing it again.